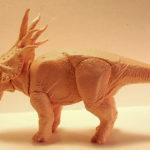 A never-before-seen prototype created for a cancelled Hasbro Jurassic Park toyline is finally seeing the light of day courtesy of it’s very talented sculptor, David Silva. 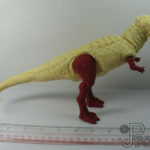 He recently released images of a Styracosaurs figure sculpt on his Creative Beast Studio website, where Silva also sells the much-revered Beasts of the Mesozoic Raptor figures he developed via Kickstarter. 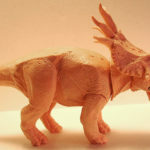 While his work on a Jurassic Pachyrhinosaurus eventually made it into production (more on that below), it would appear that the Styracosaurus never made it past this early stage. 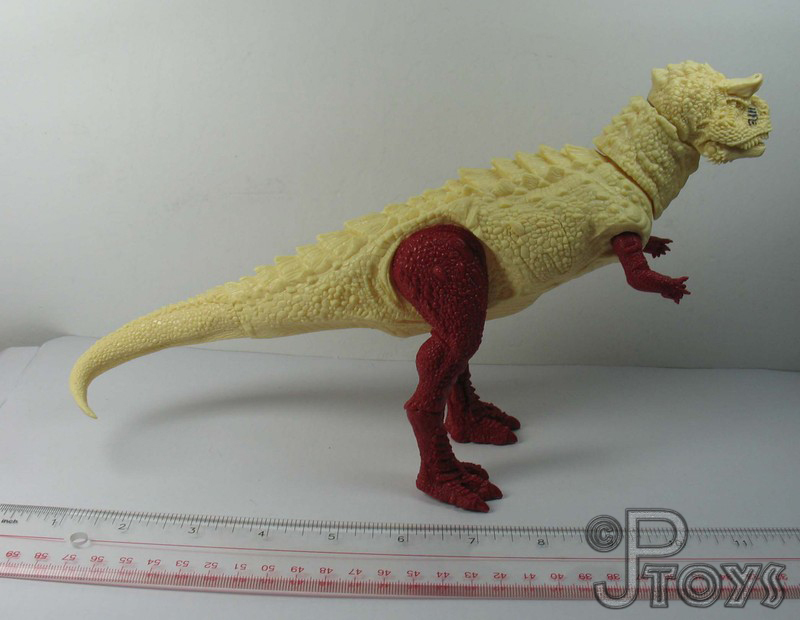 Read on for more about the Jurassic toyline that was never to be. 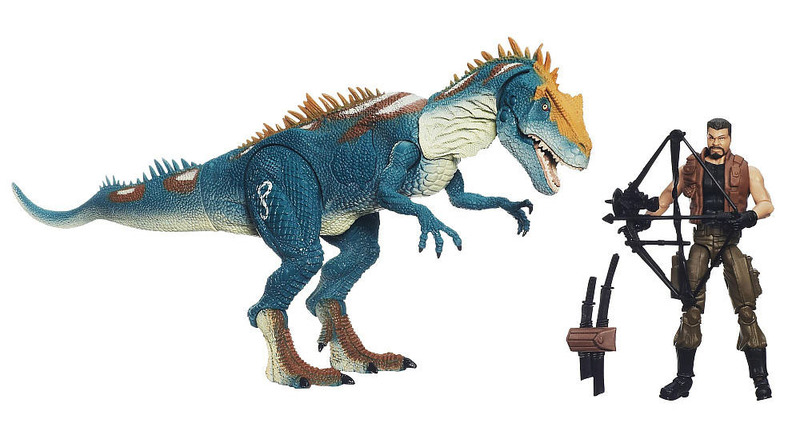 Almost decade ago, Hasbro released some of their best Jurassic Park figures since the Kenner days as part of the extremely limited Dino Showdown toyline. The Allosaurus Assault and Pachyrhinosaurus Clash were instant fan favorites due to their super-articulated and detailed dinosaur figures. What many don’t know is that these 2013 releases were actually part of a canceled Jurassic toyline that began it’s life in 2009. 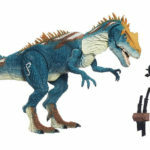 A figure assortment that included Allosaurus, Pachyrhinosaurus, Carnotaurus and Stegosaurus was originally planned for a 2011 release, with development starting in 2009 (David Silva contributed to the Pachyrhinosaurus sculpt, as noted above). 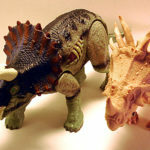 While the toyline was ultimately scapped for reasons unknown, the very same molds created for the Allosaurus and Pachyrhinosaurus were eventually released in 2013 for the Toys ‘R Us exclusive Dino Showdown sets. 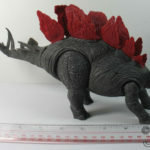 The Carnotaurus and Stegosaurus figures however never made it past the Test Shot phase of toy development, with only a handful of photos surfacing on the internet of the figures. 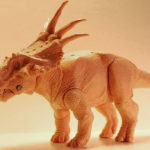 Now that the existence of a Styracosaurus figure has come to light, we can’t help but wonder what other dinosaurs may have been planned for this ill-fated toyline. 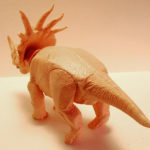 It’s worth noting that the Styracosaurus was created in a much smaller scale than the other figures developed in 2009, as seen in the photos below. 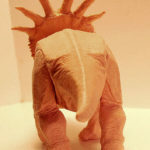 Were other dinosaurs planned in this size before going extinct as a result of the cancellation. We may never know. 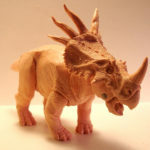 In any case, Jurassic collector’s are now able to get their hands on a Styracosaurus thanks to Mattel. 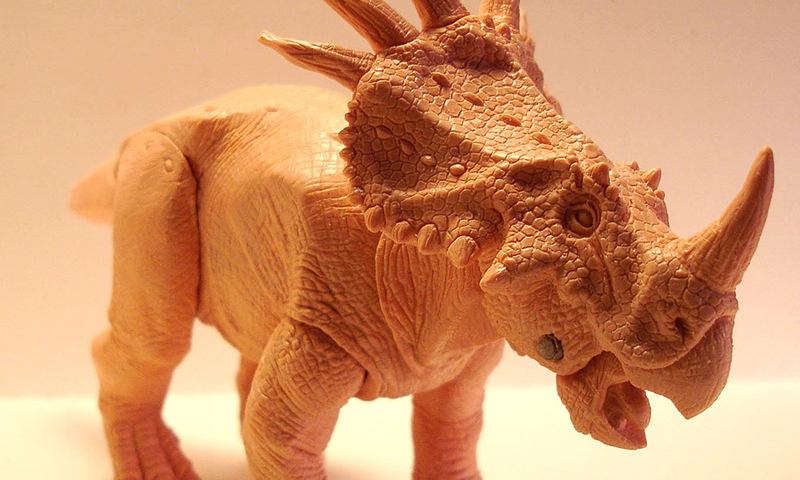 The excellent Dino Rivals Savage Strike figure finally brings this unique Ceratopsian to life in toy form, 10 years after it’s Hasbro ancestor’s demise. Such a shame this toy never saw release. The sculpt looked excellent. 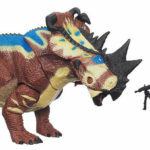 I’m glad we finally got a Styracosaurus all this time later courtesy of Mattel, at least. 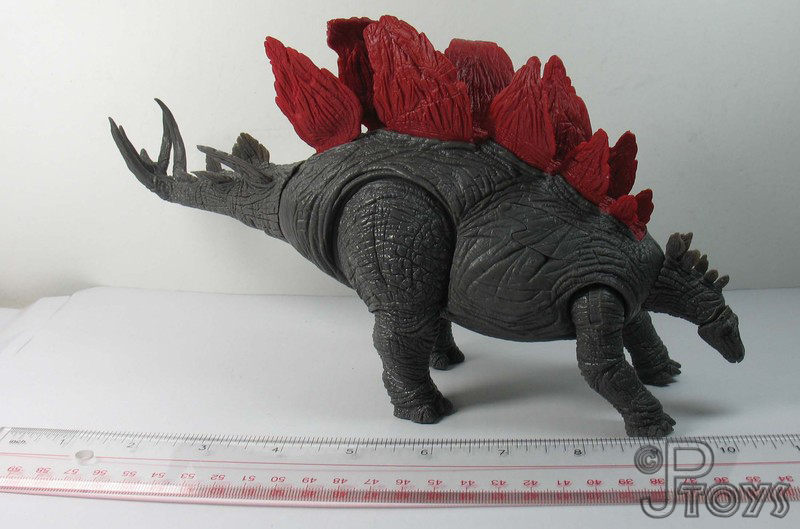 I hate to break it to you, but I don’t remember a Styracosaurus in the Jurassic Park 2011 cancelled line.